E-Scooters, convenient or just plain dangerous? After another death in a series of severe injuries in US cities, there have been calls to re-examine the safety of e-scooters. Since quite clearly this new transport method, marketed to be green and safe, to the millennial generation, is actually causing more road accidents and fatalities than anyone could ever of imagined, which is not too surprising, is it? The latest case of fatal accidents is Irish exchange student 21-year-old Mark Sands, who died in a collision with an Uber car in Texas last Friday. “We have been in contact with local authorities and will continue to assist however possible. At Lime, the safety of our riders and the community is our number one priority. Other scooter-related deaths include 20-year-old Carlos Sanchez-Martin in Washington D.C. and 24-year-old Jacoby Stonekin in Dallas. However, Lime have stated it was involved in several safety initiatives. These include: the launch of Lime Gen 3 which will have enhanced safety features (including upgraded wheels, better suspension, additional breaking and improved balance), investing more than $3 million (£2.3 million) in a campaign to educate riders on safety and distributing 250,000 free helmets to riders worldwide. Consumer Reports gathered information from 11 hospitals in 47 different cities where these scooter companies operate. Doctors told researchers that they had seen a number of concussions, nasal fractures and broken limbs resulting from scooter accidents. Consumer Reports senior analyst William Wallace, reported in the write-up of the study: “Right now, a stunning number of e-scooter users are getting seriously hurt, including with head injuries. Another study conducted by the University of California in January discovered that 249 patients had received treatment for scooter-related injuries between September 2017 and August 2018 in two Los Angeles accident and emergency departments, two of which had severe head injuries and needed to be put into intensive care units. 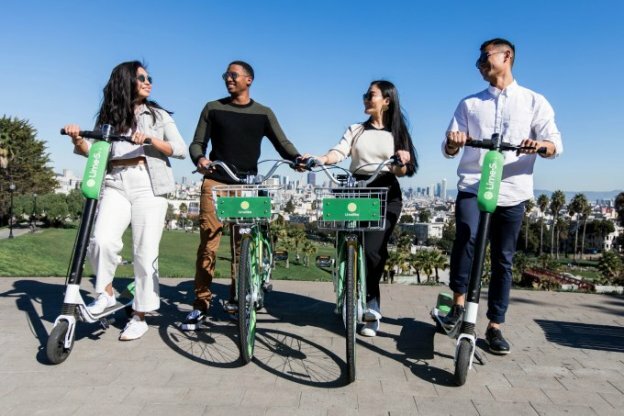 E-scooters have become quite the trend out in the states since 2017, with companies such as Lime, Bird and Uber all offering the vehicles to rent via a smartphone app, but is it safe ,or was it a good idea? Well, judging by the numerous injuries and fatal accidents perhaps it wasn’t? Paul Steely, Bird’s director of safety said: “The number of injuries…amount to less than a fraction of 1% of the total number of e-scooter rides taken worldwide. So, with the staggering number of injuries related to e-scooters, is this a dangerous trend that really should end? Or is it just simply the case of people needing to be more careful out on the roads? We have hunch that it is the former, but please do let us know your thoughts in the comments section down below, about this millennial green savvy way to travel.